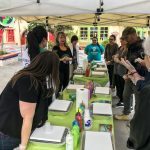 The March One Park One Team Get-Together featured a special art demonstration by one of the Park’s very own Spanish Village artists. 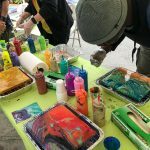 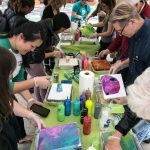 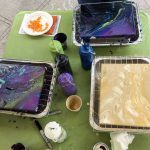 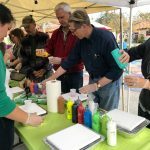 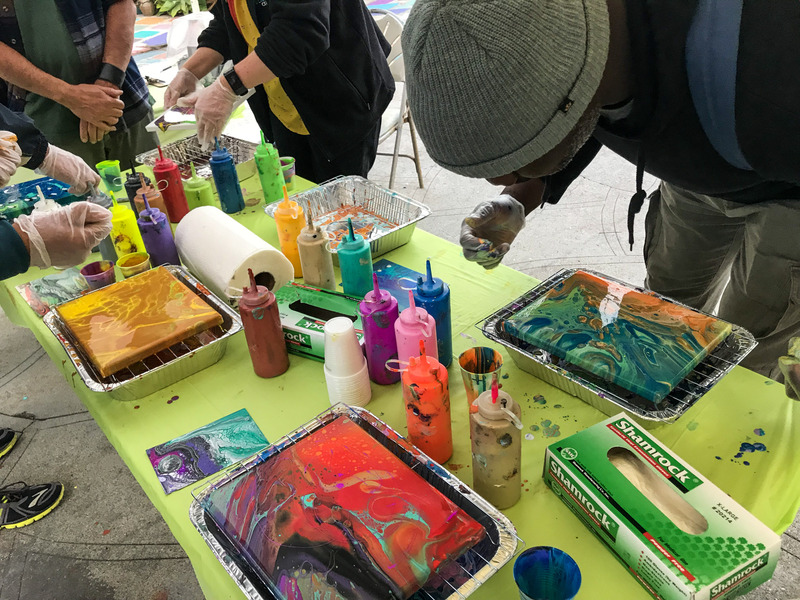 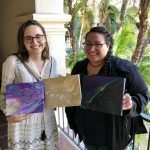 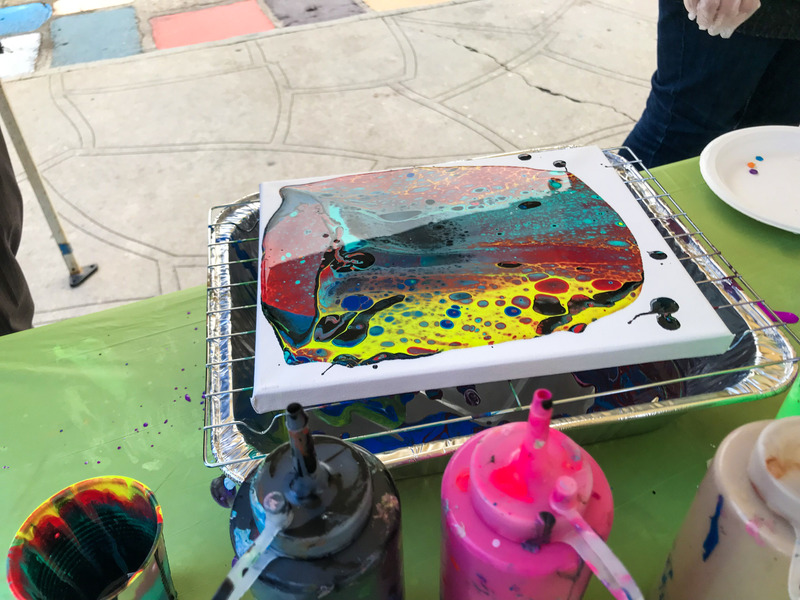 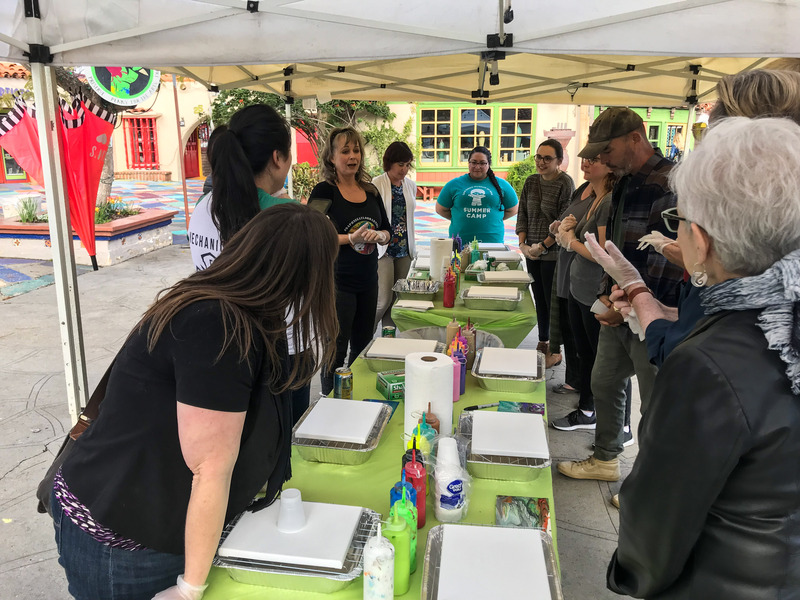 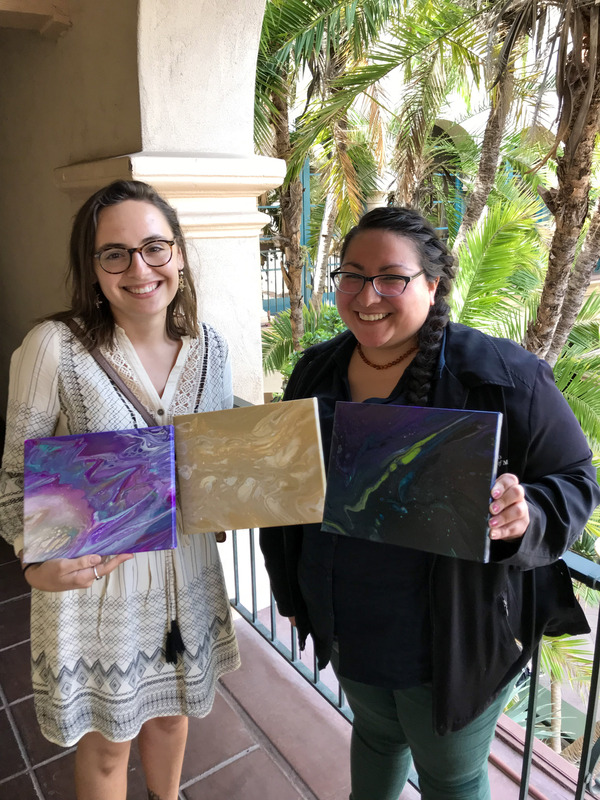 Led and co-hosted by mixed media artist Daphne Gaylord, Park employees and volunteers enjoyed a step-by-step demonstration on how to make an acrylic paint pour in the heart of the Spanish Village Art Center plaza. 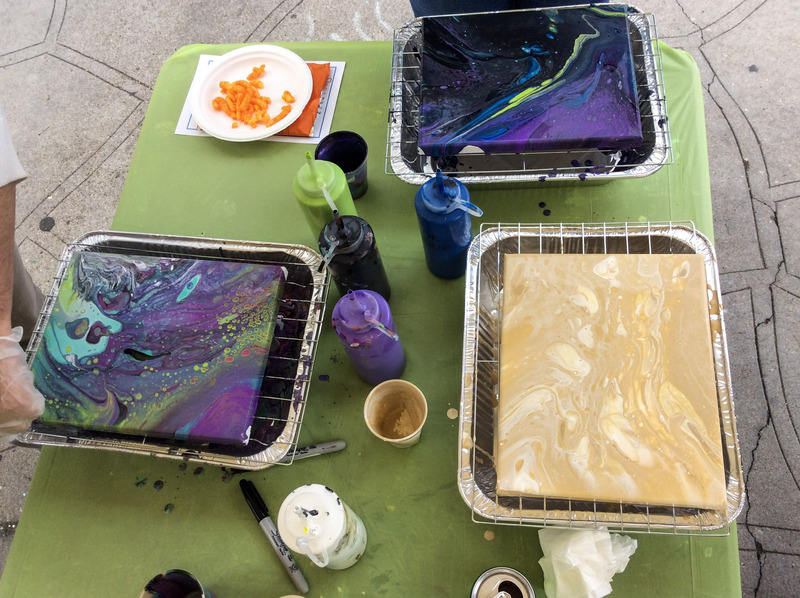 With Daphne’s guidance, attendees created their own masterpieces to take home once they dried. 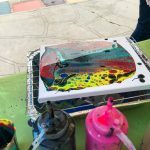 Check out a few photos from the event and the finished products below! 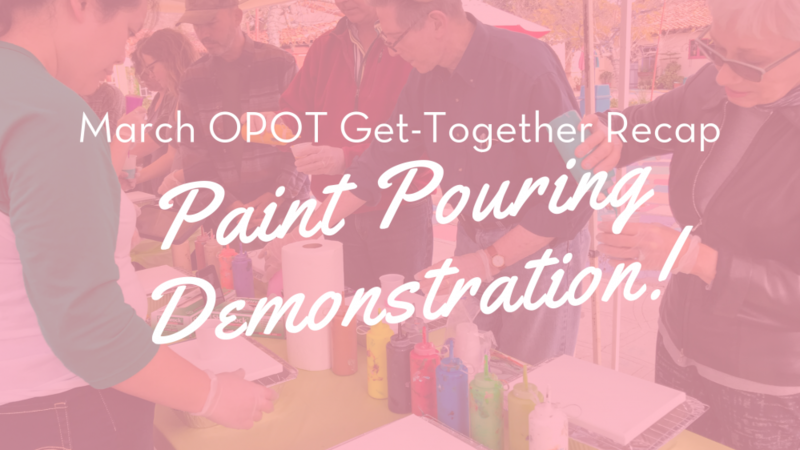 Thank you to Daphne Gaylord and the Spanish Village Art Center for co-hosting the March OPOT Get-Together! 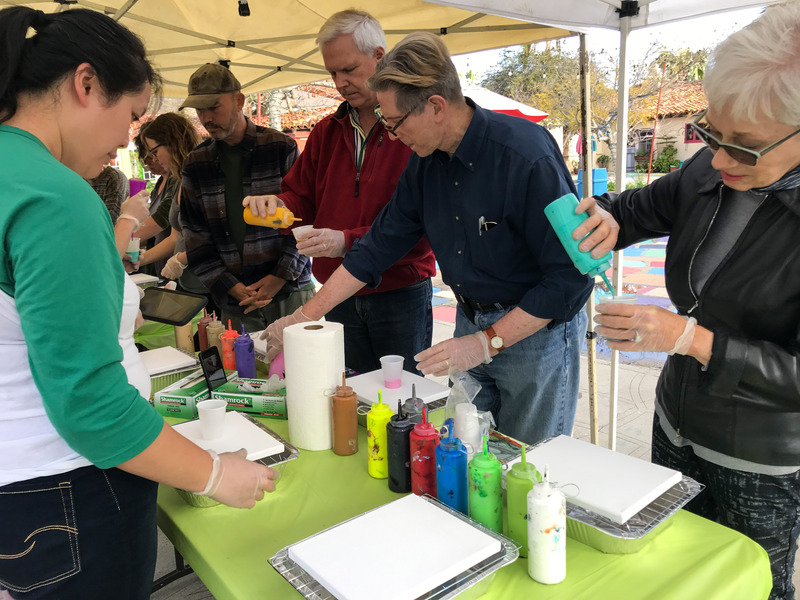 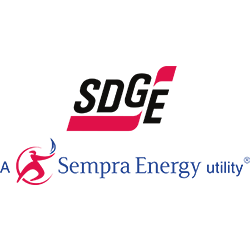 One Park – One Team Get-Togethers are for current Balboa Park employees and volunteers. 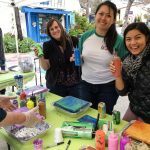 These serve as an opportunity for Balboa Park employees and volunteers to network and get to know one another. Guests are not permitted. 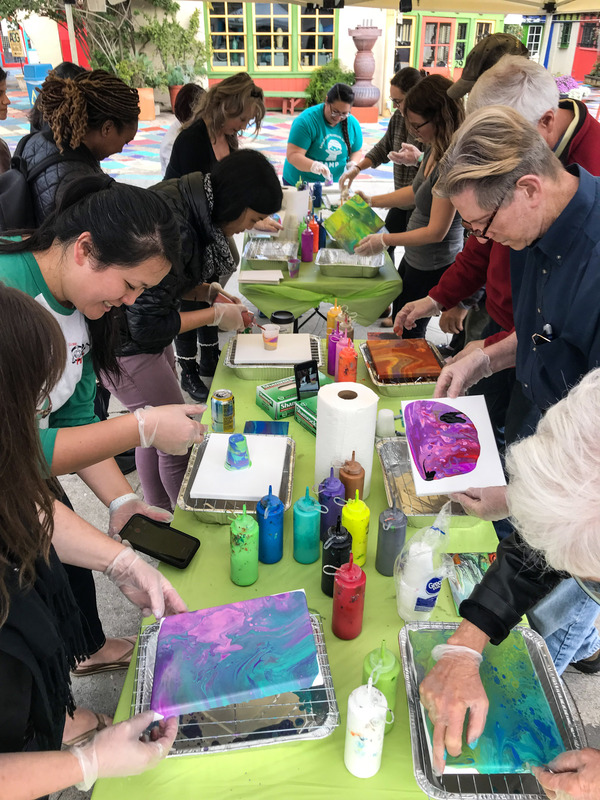 Have an idea for a One Park One Team Get-Together? 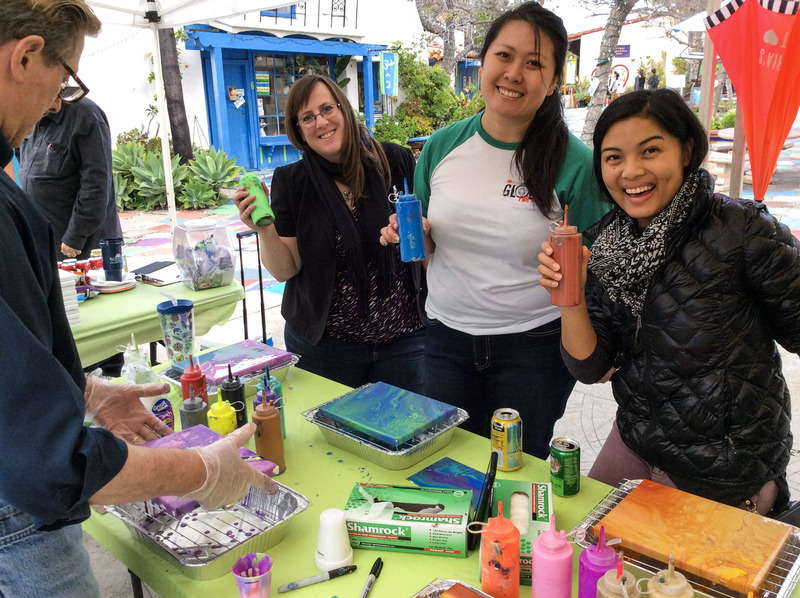 Email oneparkoneteam@bpcp.org to get involved!